In this case, the beast is pollution. 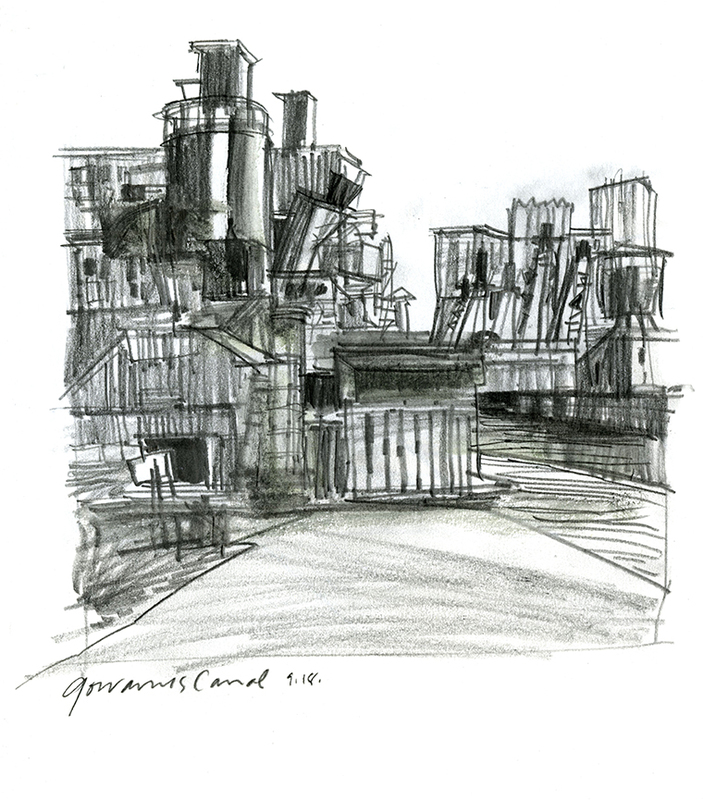 I joined the NYC Urban Sketchers and the Gowanus Canal Conservancy last Saturday to draw for conservation. 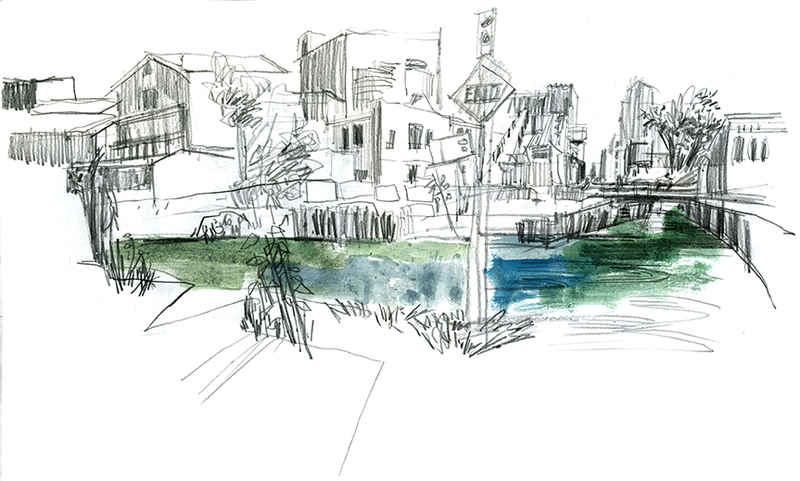 As my sketching buddies and I recorded the canal, in its glimmering, albeit scary, luminosity, the Conservancy workers were clearing debris, and cleaning up the waterfront to a great Latin music track. 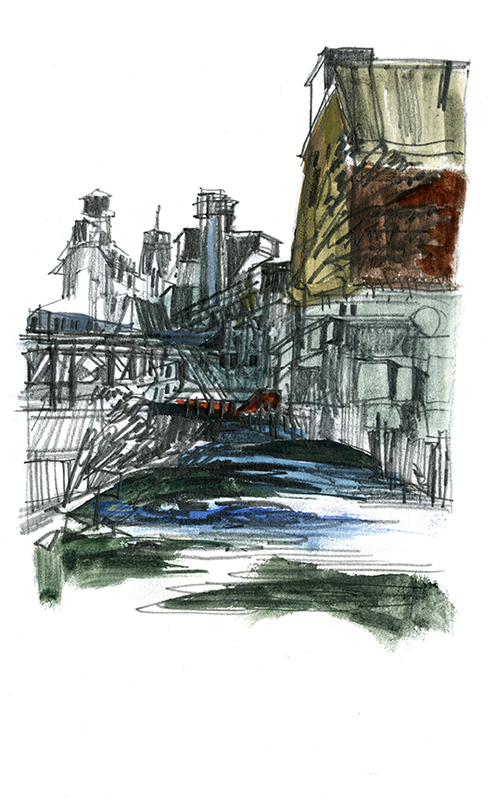 Tireless, they were- and are, as we were treated to an overview of the history and the long road ahead to clear up the sludge, deceptive under the bright blue and green of the canal. For the artist, it was a visual treat. The majesty of the industrial environment against the bright blue sky. Deep shadows and glistening highlights. The canal has its doubters, but there is a core group of people, plugging away. I was honored to be there that day and did see the beauty around me, and in the hope moving forward. More drawings can be seen here.